Selena Gomez has officially opened DEFY City at Paramount Studios in Los Angeles throwing the most defying event of the season – and all in honor of our newest women’s training silhouette. Doesn’t a shoe that encourages women to be a force to be reckoned with, to be brave and to defy the norm deserve special attention? We do think so. 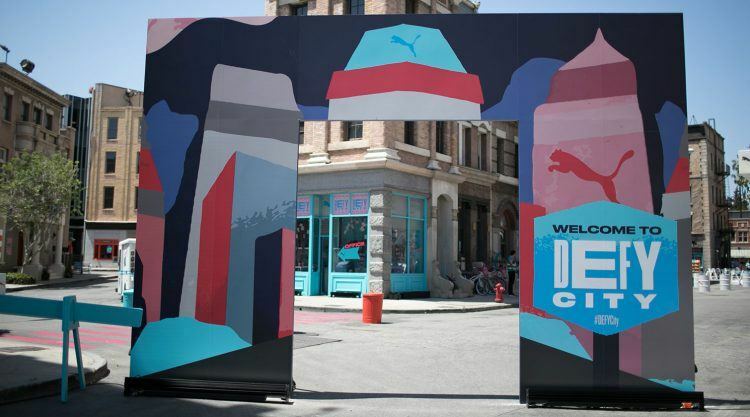 That is why we created a whole city to celebrate the launch of the DEFY, PUMA’s latest women’s training shoe. DEFY City comes with all aspects of a modern and futuristic city bringing together different elements of the training shoe for the VIP guests to interact with in a completely new and uniquely immersive way: Selena Gomez and the DEFY City tourists could defy training expectations by dancing alongside PUMA’s dancers in the balloon filled gym or defy the way they think of a traditional city by visiting a laundromat that does not eat socks. 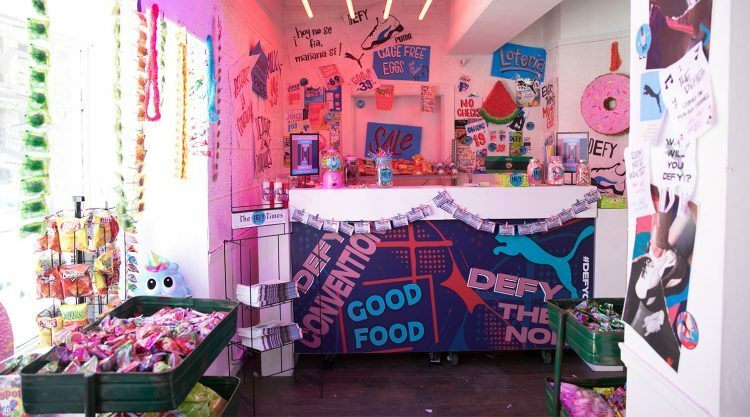 As it should be for a real city, DEFY City also has a gastronomic offer in the form of a bodega with all-you-can-eat candy and, of course, the DEFY was exclusively available for the guests to shop in advance. To DEFY is to be brave. It’s about pushing the envelope and not obeying any ‘expectations’ placed on you by society. PUMA has captured this feeling perfectly with their new DEFY training shoe. I remind myself daily the importance of defying the outside noise and being true to myself. DEFY is a revolutionary training shoe inspired by the chunky-shoe-trend, defying training standards going beyond style. It fully supports side-to-side movement, includes PUMA’s PROFOAM for high energy return and lightweight cushioning. The DEFY is available on May 31st at PUMA.COM and selected retailers worldwide – get ready to defy the norm!